Sit back and relax, toes in the water! 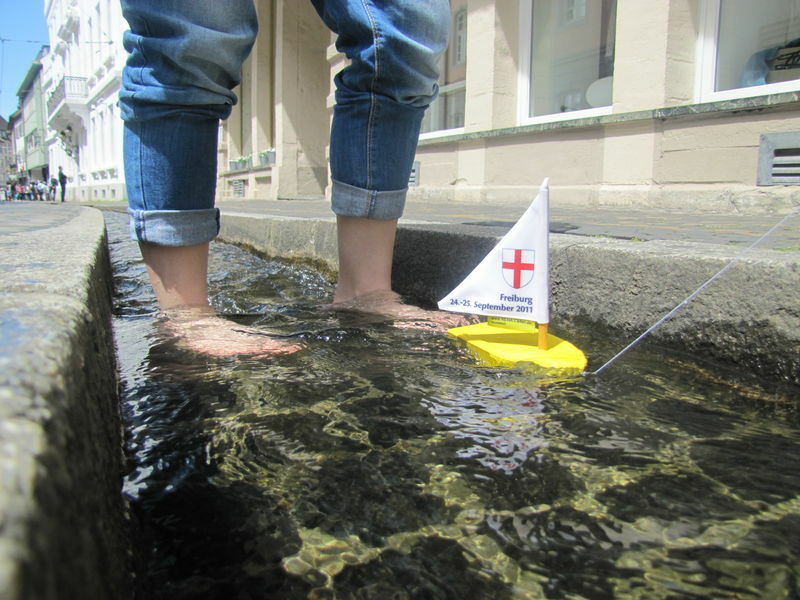 It is not just children who love to splash around in the shallow, babbling clear waters of the Freiburg Bächle, many an adult succumbs to the charms of these urban rivers in miniature. 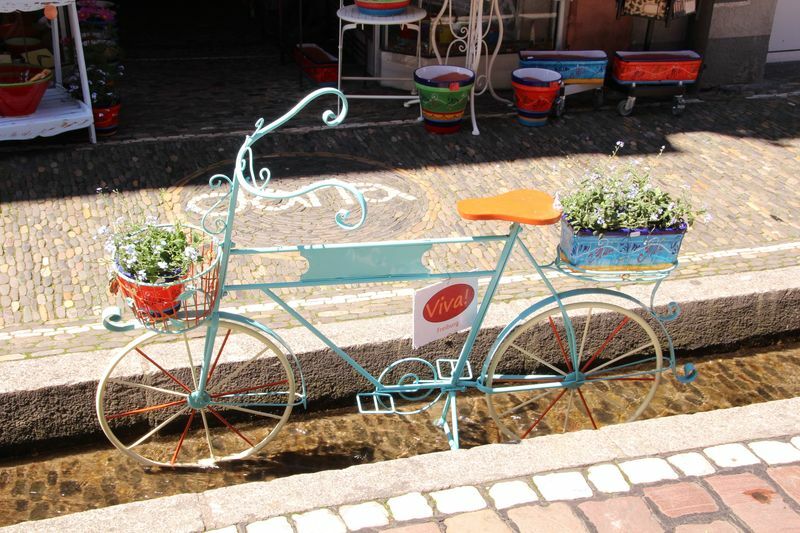 Fed by the Dreisam River, the water runnels flow through countless narrow streets in Freiburg’s Old Town. Water makes a city livable and lively, in the past and also today. 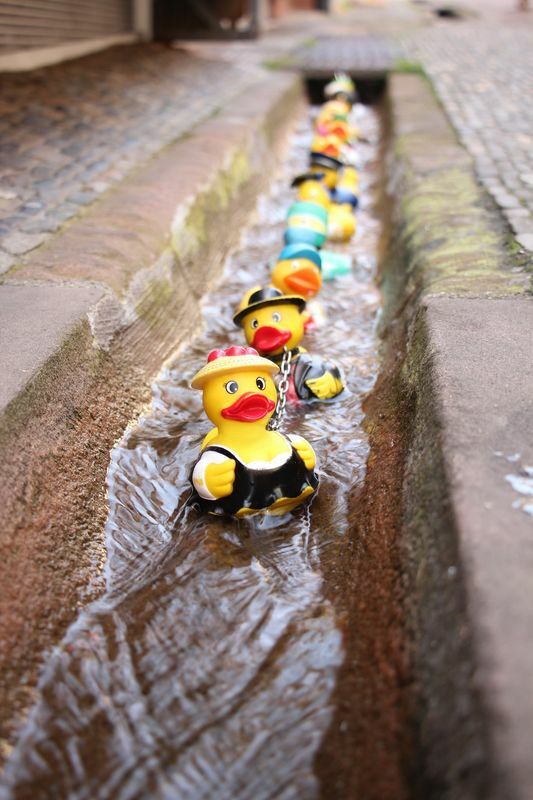 As early as the 12th century, when the city was founded, the flat paved gutters supplied Freiburg with water for drinking, fighting fires and other uses. Today, the Freiburg Bächle serve as the course for the quirky Bächle Boat Race, a backdrop for gory crime novels and a treacherous trap for singles. According to local legend, any single person who accidentally stumbles into a Bächle has to marry a Freiburger. Short note on accessibility: You can view our Bächle in many places in the Old Town.